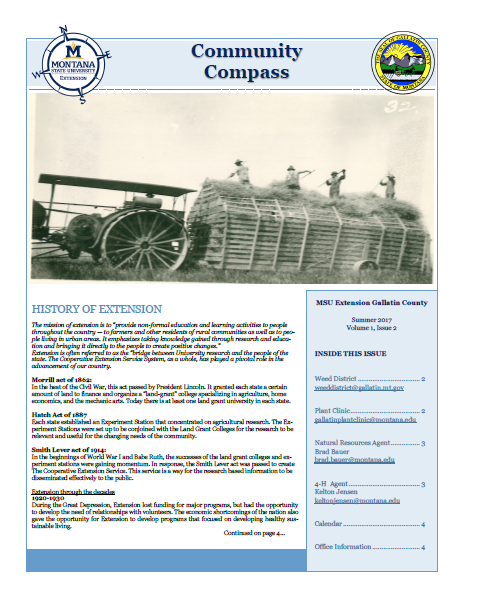 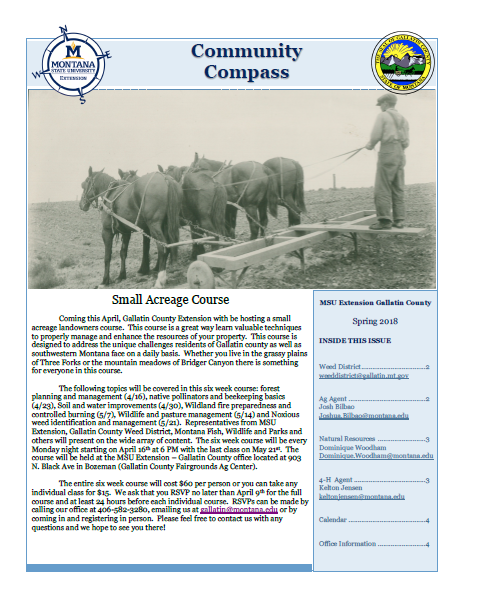 We are excited to share our quarterly newsletter with you. 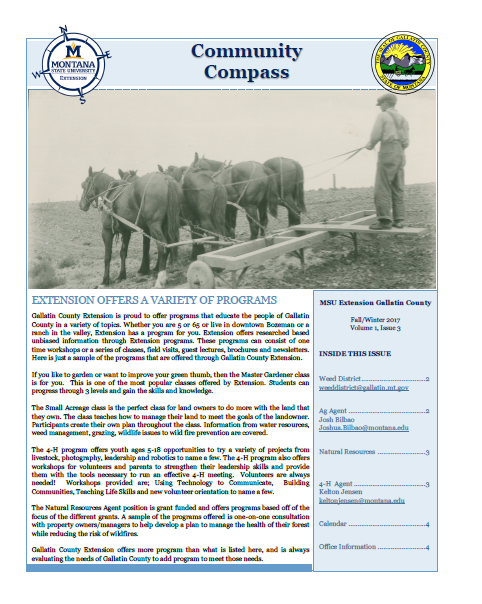 This newsletter encompasses the many different programs and activities that our office provides. 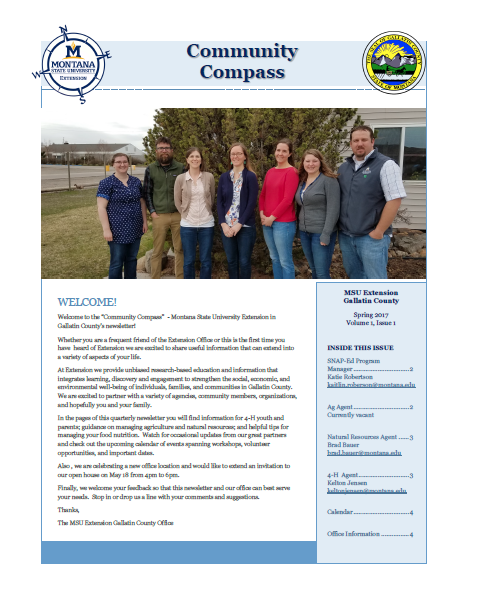 If you would like to be added to our quarterly email, please contact us at gallatin@montana.edu.